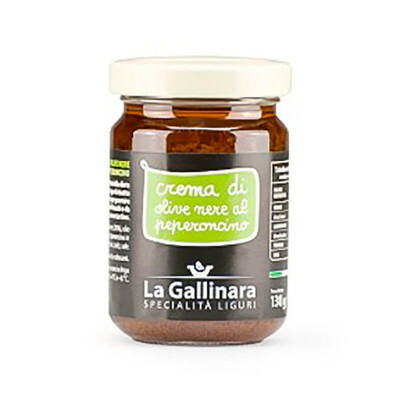 The Black Olive and Chilly Pepper Spread is made of Black Olive Spread with the addition of the Italian chilly in order to make it more tasty. 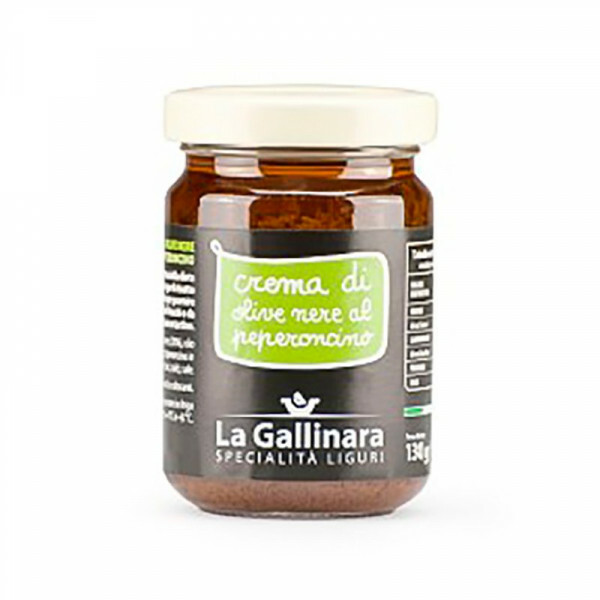 A typical product of the Mediterranean diet, perfect for risotto and pasta; an ideal garnish on hard boiled eggs, fresh tomatoes or as a canapé spread. Black olives (78%) extra virgin olive oil, chili powder (1%) (chillies, salt), salt. No preservatives and colorants.